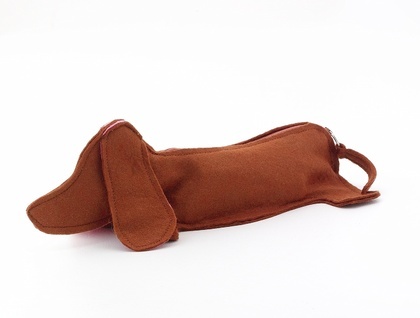 They say you should never pull a dogs tail...unless he's a super cute sausage doggie case, then pulling the tail will work the zipper! 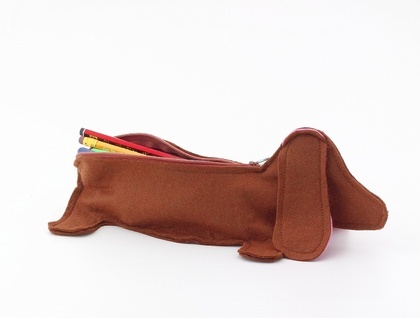 Dachshund doggie bag will eagerly hold your pencils and pens, or other important treasures, while sitting obediently where you tell him. Cute and useful! 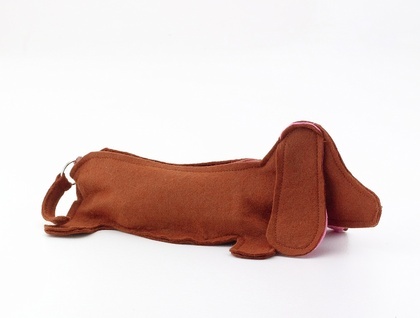 A lovely gift for dog lovers. Brown wool blend felt with pink on reverse of floppy ears.